Advanced nerve blocks has been created by Dr Anand Sardesai with contributions from anaesthetists in UK, to aid teaching of ultrasound guided nerve blocks. For individual blocks, click on blocks. Also listen to lectures on ultrasound and nerve stimulation. 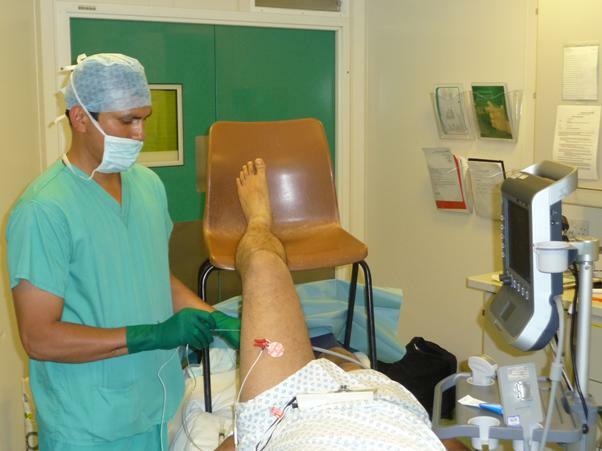 Courses on nerve blocks are run regularly at Addenbroke's hospital, Cambridge, UK. For details of future courses, click on courses. The aim of this website is to promote ultrasound guided nerve blocks. We welcome contributions from our readers. Please send us your thoughts and videos. This website should not be used in isolation. It is no substitute for learning and performing blocks under direct supervision.